Although sweet potatoes are an important staple food for Thanksgiving and Christmas dinners, this versatile, orange root tuber can be added to many other meals all year round. 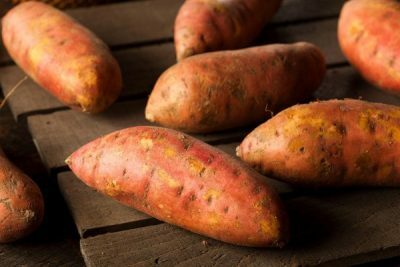 While sweet potatoes have been used for ages by many cultures around the world, until recently they weren’t a regular sight on American kitchen tables outside of the Holiday season. They are loaded with essential micronutrients to promote overall health and have fewer calories than ordinary potatoes. Essential nutrients found in sweet potatoes include fiber, protein, beta-carotene, vitamin C, manganese, potassium, and many vitamins of the B-complex. As reported by Off The Grid News, bucket-grown sweet potatoes will have a yield of about 25 pounds for each 20-gallon container.